Four home cooks with a passion for Italian cuisine will battle it out with the chefs' line from Adelaide restaurant Osteria Oggi. Station Chef Lawrence steps up to represent his restaurant. Tonight Maeve O'Meara goes inside the kitchen of Turkish restaurant Anason. 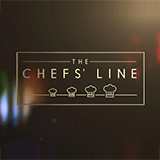 Maeve and the chefs line dive into some delicious new dishes including a cured salmon pastima with station chef Inal, labne with burnt butter and chilli sauce with sous chef Ozeg and a delightful slow roasted lamb shoulder with executive chef Somer. Tonight, in the final showdown, executive chef Somer from Turkish restaurant Anason in Sydney goes up against this week's best cook in the ultimate David vs Goliath battle. Sous chef Ozag from Turkish restaurant Anason battles two passionate home cooks in a showdown of Turkish cuisine. Station chef Inal from Turkish restaurant Anason goes up against three passionate home cooks in a showcase of culinary excellence. Apprentice chef Cagin from Turkish restaurant Anason goes up against four home cooks. Maeve O'Meara takes us inside the kitchen of Adelaide restaurant Africola. Maeve and apprentice chef Deni make a delicious deep fried eggplant dish and sous chef Alistair demonstrates how to make a vegan meringue. Head chef Duncan shows off a bar snack that has had rave reviews. Head chef Duncan from Africola in Adelaide goes up against this week's best home cook in the ultimate David v. Goliath battle. The stakes are high as sous chef Alistair from Africola cooks against two passionate home cooks. The winner of this round will make it to the final stop in the chefs' line and battle it out with Africola's head chef.